Greenhouse is a 10in Square (Layer Cake) friendly plant sampler quilt using conventional patchwork piecing techniques. 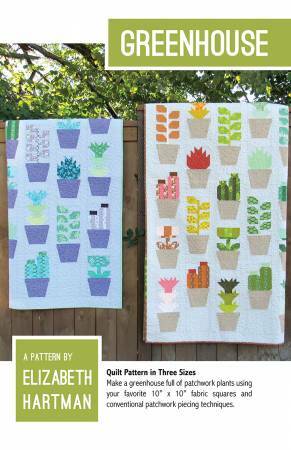 This pattern includes five different plant blocks that can be used to make three quilt sizes. Sample quilts feature my Terrarium Fabric Collection for Robert Kaufman Fabrics.